We are excited to announce that the Tennessee Cattlemen’s Association has elected Gary Daniel of Cypress Inn, TN as its President. Daniel is a cow-calf producer from Cypress Inn, TN. He graduated from the University of Tennessee at Martin with a Bachelor of Science degree in Agricultural Education. He and his wife Shirley have raised two daughters who are now in their 30s. Daniel is passionate about the cattle business and is eager to lead the cattle producers in Tennessee. Daniel became the association president at the TCA’s 30th Annual Convention and Trade Show on Jan. 17 in Murfreesboro. He will serve two years in this role. 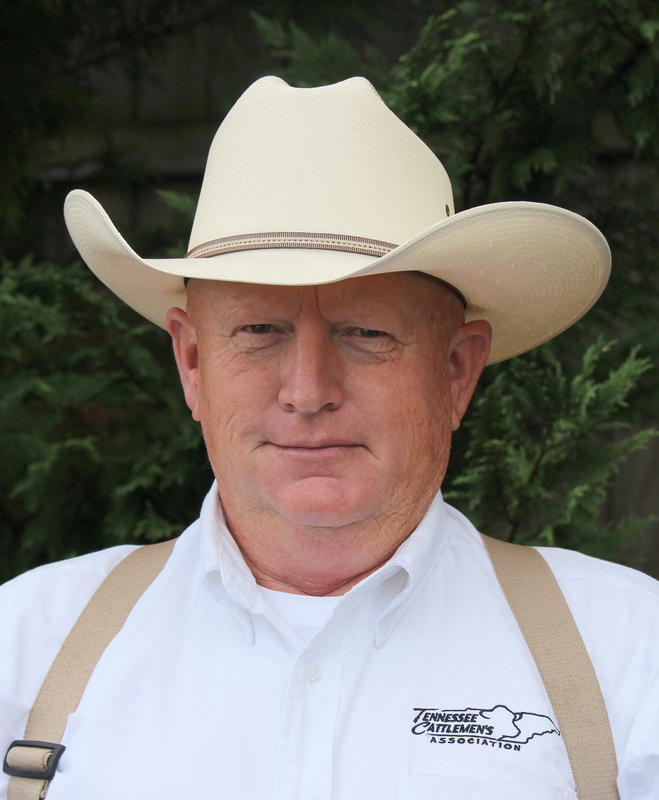 “Gary Daniel is a common sense cattle producer with the background and experience to know the issues and the integrity to do what’s right for the cattle producers in Tennessee every time,” said Charles Hord, executive vice president of TCA. Daniel hopes to “continue to be a voice for the cattle industry in Tennessee by working with the government to prevent over regulation and monitor activists’ activities.” He also wishes to support causes that will enhance Tennesseean youth’s interest in the cattle business. For more information on TCA, please visit www.tncattle.org and be sure to follow us on Facebook and Twitter: @TennesseeCattle. 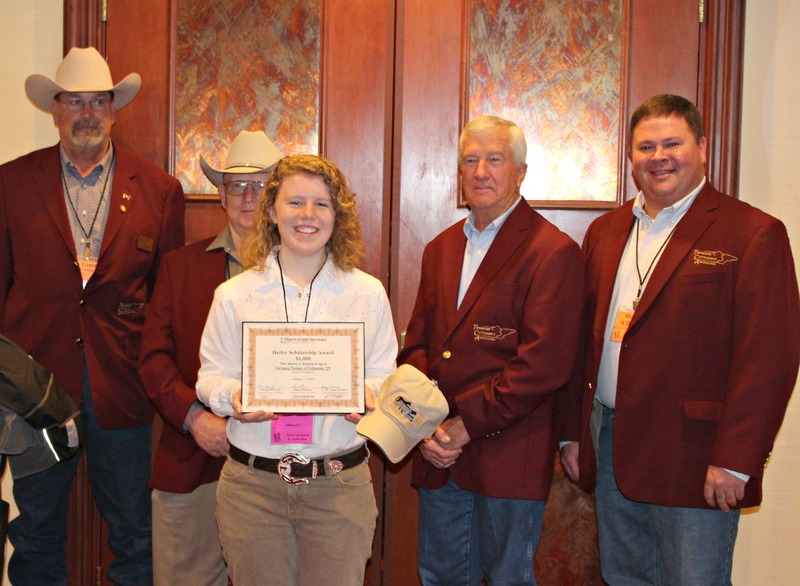 Six Tennessee youth won scholarships from Farm Credit Services Mid-America, which were awarded at the 30th Annual Tennessee Cattlemen’s Association and Trade Show on January 15-17 in Murfreesboro. The Youth Beef Heifer Initiative Scholarships are in place to help provide students with financial assistance in purchasing heifers. Winners received $2,000 and 2nd place recipients won $1,000. Some will use their purchased heifer for beef projects and to build their future cattle herds. In addition to the prize money, the University of Tennessee Department of Animal Science donated belt buckles for the 1st place winners and hats for the second place winners. Cole Ledford of Cleveland, TN won the Junior Division and Alvin Brandon of Readyville, TN won 2nd place. 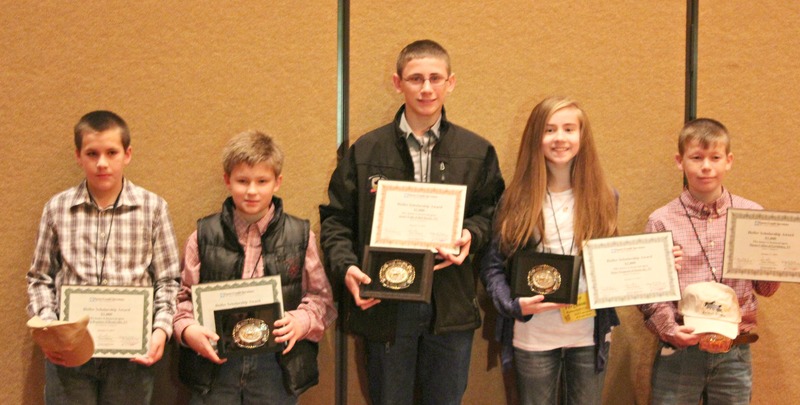 Haylee Ferguson of Rockvale, TN won the Junior High Division and Mason Collins of Lewisburg, TN won 2nd place. Jacob Wade of Bell Buckle, TN won the Senior High Division and LeAnna Tanner of Lebanon, TN won 2nd place. The Tennessee Cattlemen’s Association would like to thank Farm Credit Services Mid-America for their support of the youth in Tennessee’s cattle community. For more information on the scholarship program, please contact Shane Williams: (423) 745-1683 or the TCA office: (615) 896-2333. The 30th annual Tennessee Cattlemen’s Convention and Trade Show will be the best it’s ever been! Taking place from Jan. 15-17 in Murfreesboro, TN, attendees will have an amazing opportunity to hear from some of the top cattle and beef industry professionals. Read below to learn about the speakers and their Cow College topics. For a convention schedule, click here. In this position, Susan is responsible for leading the advancement of environmental and sustainable supply strategies and initiatives for McDonald’s U.S. business, including initiatives focused on recycling and waste management, energy efficiency, and sustainable sourcing. 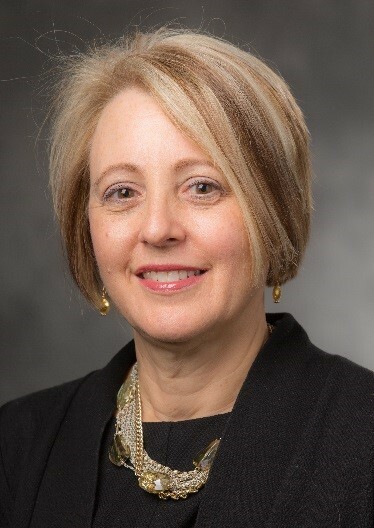 Prior to her current role, Susan served as VP, Quality Systems, where she was responsible for leading the strategy and implementation of McDonald’s quality assurance, food safety, and sustainable supply policies and programs. A 20-year veteran, Susan started her career with McDonald’s Asia Pacific operations in 1992. She has risen through the ranks, holding various supply chain management positions including Asia Pacific Zone Purchasing Director and Central Division Senior Director, Supply Chain Management. She also devotes her time to the Ronald McDonald’s House Charities and the Jr. Achievement Volunteer Program. Susan holds a Master of Business Administration from Northwestern’s Kellogg School of Management in Evanston, Illinois. Her undergraduate degree is also from Northwestern University where she majored in Asian Studies. She has more than 14 years of international business experience in Asia and is proficient in Mandarin Chinese. Dr. Dennis Hancock is an Associate Professor in the Crop and Soil Sciences Department and the Forage Extension Specialist at the University of Georgia. His responsibilities are split between Extension (75%) and Research (25%). Dr. Hancock grew up on a 100-acre cow-calf operation in Western Kentucky, where his father also ran a gravel, lime, and fertilizer spreading business. Later, he earned a BS in Agriculture in 1996 from Berea College, a small liberal arts college in eastern Kentucky where students pay their way through college in a work-study program. His work assignment was as the Lab Assistant and, later, Supervisor for the Animal Nutrition Lab. Following, he earned a MS in Plant and Soil Sciences in 1999 at the Univ. of Kentucky. 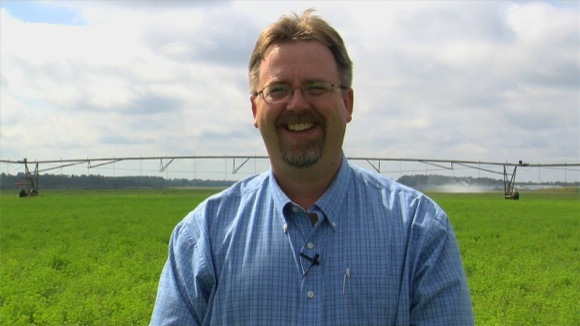 After a 2 ½ year stint as a County Extension Agent in northern Kentucky (Grant Co.), he returned to UK and completed a PhD in Crop Science in 2006. During that time, he worked full time as the Research and Extension Coordinator for the Univ. of Kentucky’s Precision Agriculture Team. Colin Woodall is the Vice President of Government Affairs for NCBA in Washington, D.C. He serves as NCBA’s chief lobbyist on Capitol Hill and leads the Washington office in developing strategies to ensure that the cattle industry’s voice is being heard by policy makers. Colin is originally from Big Spring, Texas, and holds a degree in Agricultural Systems Management from Texas A&M. At A&M, Colin was involved in the Corps of Cadets and active in the student chapter of the American Association of Agricultural Engineers. After college he worked as a grain elevator manager and grain merchandiser for Cargill in WaKeeney and Hugoton, Kansas. After venturing to Washington, Colin took a job with U.S. Senator John Cornyn where he worked on agriculture, interior, energy and water projects and appropriations. Colin has been with NCBA since June of 2004. Dr. Capper. is an independent Livestock Sustainability Consultant based in Bozeman, Montana and holds adjunct professor and affiliate positions at Washington State University and Montana State University, respectively. Dr. Capper’s current research focuses on modeling the environmental impact of livestock production systems, specifically dairy and beef. Current research projects include the effect of specific management practices and technology use upon environmental impact. 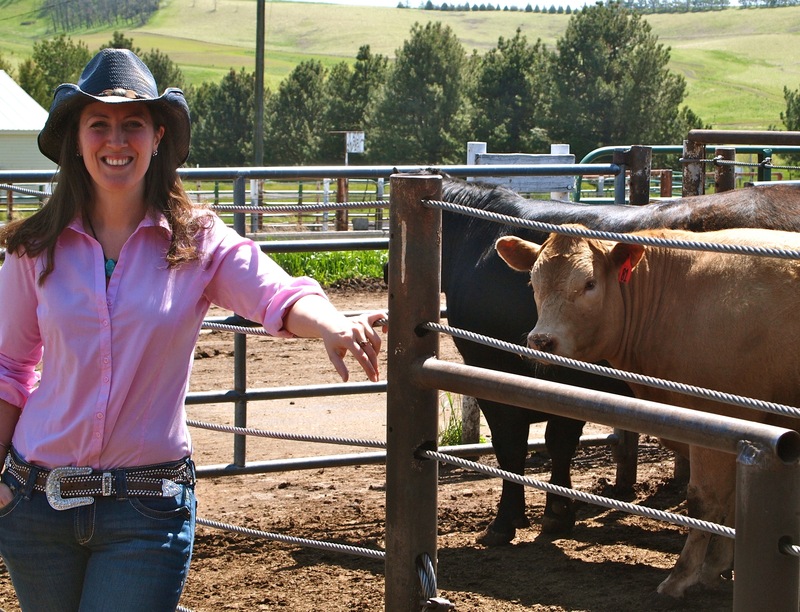 Her principal professional goal is to communicate the importance of livestock industry sustainability and the factors affecting sustainability to enhance the knowledge and understanding of stakeholders within food production from the rancher and farmer through to the retailer, policy-maker and consumer. She has an active social media presence and spends a considerable amount of time de-bunking some of the more commonly-heard myths relating to resource use and the environmental impact of livestock production. Jude maintains websites relating to her work and has theTwitter handle of @Bovidiva. She can be contacted via email at jude@livestocksustainability.com. Burke Teichert was born and raised on a family ranch in western Wyoming and earned a B.S. in ag business from Brigham Young University and M.S. in ag economics from University of Wyoming. 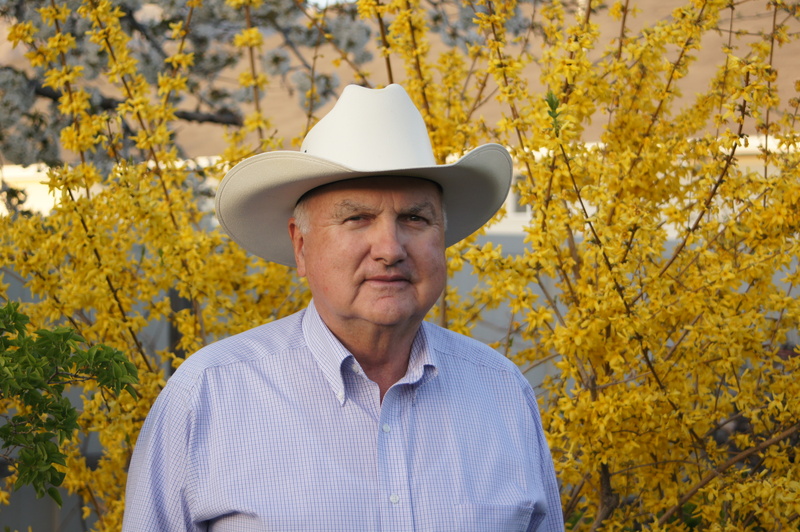 His work history includes serving as a university faculty member, cattle reproduction specialist, and manager of seven cattle ranchers for Deseret Land and Cattle. of a number of farms and ranches in the U.S. as well as Canada and Argentina. Cow College 6: “Increasing Reproductive Efficiency through Proper Management”- Dr. Rick Funston, PhD – professor and Reproductive Physiologist at the University of Nebraska. He received his BS from North Dakota State University, MS from Montana State University his PhD from the University of Wyoming, and completed a Post Doc at Colorado State University in Reproduction/Biotechnology. He divides his time between extension and research. His research on lighter heifer development is receiving national attention/adoption; research on fetal programming effects on postnatal calf performance including carcass characteristics and reproduction has received national and international recognition; and he is a team member of nationally recognized beef systems research. In the extension capacity, he provides leadership and subject matter expertise for educational programs in cow-calf production management for the West Central District and statewide expertise in beef reproductive management programs. 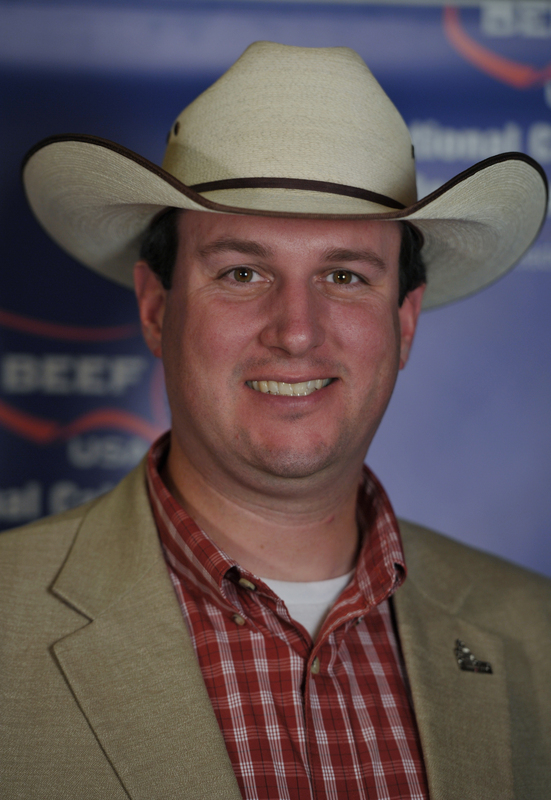 Forrest L. Roberts joined the National Cattlemen’s Beef Association as its Chief Executive Officer Jan. 20, 2009. For the previous 16 years, Roberts held several marketing and sales positions in two animal health companies. He started with Upjohn Animal Health in 1992 and remained with the company through two mergers with Pharmacia Animal Health and later Pfizer Animal Health. In 2004 he left Pfizer to join Elanco Animal Health, where he most recently served as the marketing manager for Elanco’s Beef Business Unit. In addition to his professional agriculture and beef business experience, Roberts has served in several volunteer positions in NCBA. He has been a member of NCBA’s Executive Committee, Board of Directors, Allied Industry Council, Long-Range Planning Committee and served on the National Cattlemen’s Foundation Board of Trustees. Roberts grew up on a family-owned, diversified livestock operation in Uvalde, Tex. He worked with his family when their operation expanded to include a retail meat market for locally grown, corn-fed beef and pork. 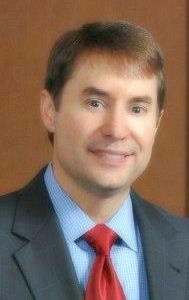 Roberts earned a bachelor’s of science degree in Animal Science from Texas A&M University in 1992 and a master’s of business administration from University of North Carolina in 1999. He and his wife Janet have three daughters: Kylie, Kinley and Kalleigh. Join us in Murfreesboro, TN on Jan. 15-17. You WON’T want to miss these great speakers! For questions regarding convention, please call the TCA office: (615) 896-2333.